Amir H. Torbati and Patrick T. Mather present a new synthesis for orientationally ordered liquid crystalline hydrogels with shape memory characteristics. 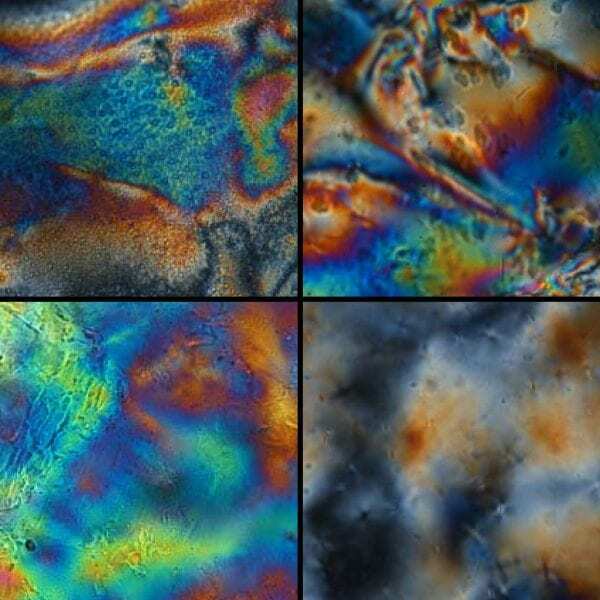 Polarized optical microscopy images of liquid crystal hydrogels in the dry (top) and hydrated (bottom) state. The birefringence seen in the hydrated state indicates long-range order. Polymer hydrogels have variety of commercial applications, as commodity absorbents and contact lenses, as well as medical applications, as tissue engineering scaffolds and drug delivery vehicles. While most synthetic hydrogels lack structural order, naturally occurring biological hydrogels tend to present as ordered aggregates, providing mechanical toughness and adaptable functionality. In the Journal of Polymer Science Part B: Polymer Physics, Amir H. Torbati and Patrick T. Mather of Syracuse University present a new method for obtaining orientationally ordered hydrogels with elastomeric and shape memory characteristics by incorporating liquid crystals into a polymer matrix. Torbati and Mather developed their synthesis of liquid crystalline hydrogels using thiol-ene chemistry. Thiol-ene reactions have high yields, stereoselectivity, and are driven by thermodynamics, which classifies them as “click” chemistry. In the current research, liquid crystalline dienes were reacted with poly(ethylene glycol) dithiol and a tetrathiol crosslinker through the thiol-ene addition polymerization reaction. The result was a hydrogel dotted with liquid crystalline units that induced structural order. In both the hydrated and dry stretched states, the liquid crystalline hydrogels were in the smectic phase, meaning the polymer strands were ordered along a single direction. The hydrogels also displayed shape memory behavior triggered by heat and water swelling. To demonstrate the surface shape memory capabilities, a sample was embossed with a diamond pattern at 60 °C, then cooled to -20 °C in order to fix the pattern. 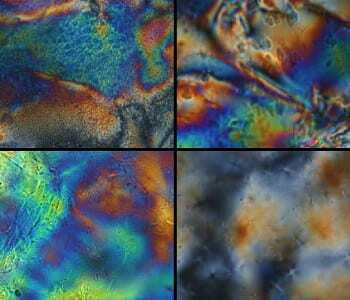 When the patterned samples were heated in 60 °C water, the unpatterned surface was recovered. The swelling of the polymer matrix in warm water aided in the recovery of the original surface. The new approach could be used to fabricate a variety of shape memory hydrogels. 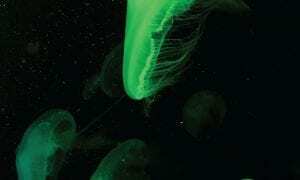 Additionally, the long-range ordering of such soft polymers brings scientists one step closer to biological hydrogels, such as cell membranes, connective tissue, cartilage, and even insect-wings. 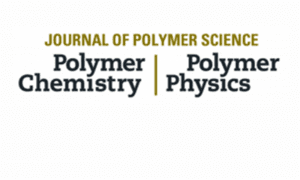 Read the abstract in the Journal of Polymer Science Part B: Polymer Physics. 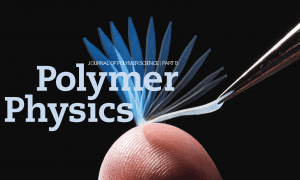 Journal of Polymer Science Award – Nomination Deadline Extended!